THOMPSON – Extra distance proved the perfect distance for Ryan Waterman in the Limited Sportsman feature. With the division going 10 more laps than usual, it was Waterman roaring to victory in the 30-lap Limited Sportsman feature. Shawn Monahan of Waterford was second and Larry Barnett of Moosup third. 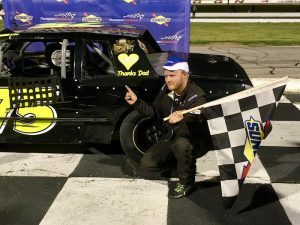 Waterman was coming off a victory in the Sportsman division Saturday at the New London-Waterford Speedbowl. 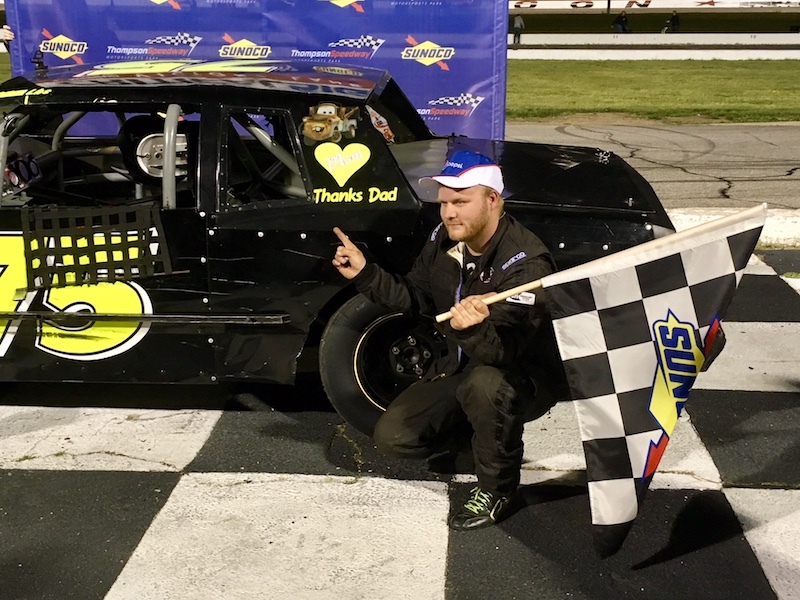 Ryan Morgan of Mystic held off Rick Gentes of North Smithfield, R.I. to win the 25-lap Late Model feature. Nick Johnson of Rehoboth, Mass. was third. Eric Bourgeois got his second victory in two events this year at Thompson in the 15-lap Mini Stock feature. Dave Trudeau of Mansfield was second and Jared Roy of Sterling third. Great job Matt Buckler for your singing performance of the star spangled banner. You were awesome for winging it with out the words or recording!!? The race leading late model that crashed after the late caution was a tough break. He would have won other wise. Nice job Shawn Monahan coming through the field a couple of times to finish second. Another 10 laps and you would have caught Ryan. Congratulations to him on two wins in one week. Awesome night of racing!! I agree 100% with Racer28, Matt Buckler deserves a ton of credit for stepping up and singing the National Anthem. I hope the track realizes how lucky they are to have you!